“Mortal Kombat: Legacy” Season 2 kicks off later this week after a two year wait between seasons. 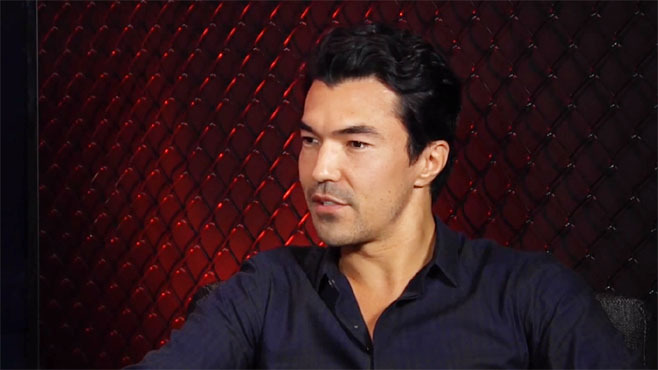 Ian Anthony Dale (“Hawaii Five-0” & “The Event”) is one of the few performers back for a return engagement in the new season of “Mortal Kombat: Legacy.” Dale once again portrays Hanzo Hasashi, the warrior better known to MK fans as Scorpion. Earlier this month at the CraveOnline Studio, a few members of the “Legacy” cast stopped by to discuss season 2. Dale went up first to tell us about his martial arts training and his hand in picking the new cast members while teasing what’s in store for Scorpion in the upcoming season and challenging some of our assumptions about Scorpion’s rivalry with Sub-Zero. “Mortal Kombat: Legacy” Season 2 will premiere on Machinima this Thursday, September 26. Our interviews with Samantha Jo (Kitana) and Brian Tee (Liu Kang) are coming up later this week!